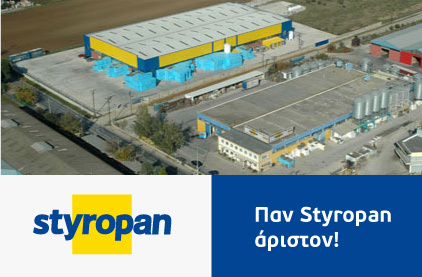 Styropan | Contact | Reliable insulation, packaging and decoration solutions. Call us every day from 07:30 to 16:30 on (0030) 2310 722 384 & 2310 722 654 to place your order or for any information about our products! Send your message at: info@styropan.gr for orders and info about our products. Our facilities are on the 14th km Old National Road of Thessaloniki-Veria (N. Aghialos Turn), Thessaloniki. Contact us to appoint a date, meet you and propose personalized solutions to your needs. STYROPAN - INDUSTRIAL MATERIALS INDUSTRY. Get in touch!